How to get income from the Inca Trail to Machu Picchu? Every year thousands of people are attracted to the City of Cusco by the energy of the Andes Mountains, but only a few can experience the magic of feeling this energy, walking one of the most amazing walks in the world. The Inca Trail is a center of beauty, mysticism, spirituality, challenge and history, built by the legendary Inca civilization. 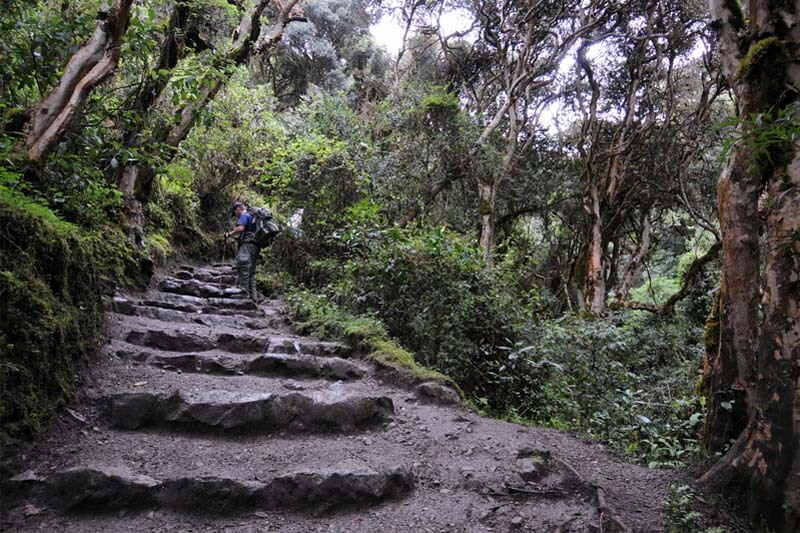 Unlike other walks in Peru and the world, the Inca Trail is a protected area. We are experts in traveling to Machu Picchu so we will tell you how to obtain the permits for the Inca Trail. An office called the Cusco Regional Culture Directorate is in charge of issuing the permits for the Inca Trail. In case you did not know, only 500 people can obtain the permits to cross the Inca Trail every day; of these 500 people, only 200 will end up entering the Inca City of Machu Picchu; the other 300 people belong to the support team needed during the hike; guides, porters and cooks. How can I buy the permits for the Inca Trail? You can actually travel the Inca Trail; but the entity in charge of income to the Inca Trail only allows tour operators to buy tickets for the entrance of the Inca Trail to Machu Picchu. If you want to travel the Inca Trail to Machu Picchu contact us at info@boletomachupicchu.com. What data is needed to reserve the permits for the Inca Trail? How to check the income available to the Inca Trail? You can see the permissions available in the official page of the “Ministry of Culture” and in many other pages; however, it is better that this is verified by the Agency with which you will hire The Inca Trail to Machu Picchu, since the amount of available income can vary between the time you check the availability and the one chosen by the travel agency. Please contact us if you wish to enter Machu Picchu by the Inca Trail. As you can see, the main problem is not “how to get the permits of the Inca Trail”, but rather “when to reserve”; since if you do not book your tickets in advance, you will have to enter Machu Picchu by train. Classic Inca Trail or Short Inca Trail? In both cases the method for getting the tickets is the same. The Short Inca Trail is for people who want to travel the Inca Trail, but do not want to do it for 4 days, skipping the hardest part of the trip. How to get to Machu Picchu by train? If you no longer have time to book The Inca Trail to Machu Picchu then you will have to settle for reaching Machu Picchu by one of the most amazing train routes on the planet through the Sacred Valley of the Incas. But in the same way; Machu Picchu tickets must be booked in advance. If you did not get the income for the Inca Trail but still want an amazing hike, try some of the short hikes in Machu Picchu; the ticket Machu Picchu + Huayna Picchu offers one of the most astonishing experiences of Machu Picchu; however, to get these tickets, you should review the availability of Machu Picchu tickets at least 4 months in advance. ← To how many meters of height is Machu Picchu?